SandHI is the clever name IIT Kharagpur has given to its mega-project of reestablishing the heritage and antiquity of India’s heartland Varanasi through scientific research. One of the most exciting parts of the project is the geo-exploration of Varanasi city. The present project is geared towards looking at the way geology or nature controlled the origin, evolution and survival of the city through ages. Primarily funded by MHRD under the SandHI megaproject, funding for the Varanasi geo-quest project is by British Geological Survey (UK Aid). Varanasi (Banaras or Kashi), is seen as holy in many ancient religions of Southeast Asia like Hinduism, Buddhism, Jainism. Along with Alexandria, Luxor, Faiyum, Varanasi has the distinction of being one of the oldest cities of the world that has been continuously inhabited. Varanasi today is being brought rapidly into the twenty-first century with investment in infrastructure. Prof. Abhijit Mukherjee, Principal Investigator of the project, mentions that bringing ancient infrastructure into the structures needed for modern life is a challenge. The preservation of archaeological sites is a problem. He also says that the city’s future will depend on the sustainable use of natural resources like groundwater, dealing with the possibility of flooding and a proper understanding of how the river works and how climate change will affect it. We need to know the past and the present of the river and ground to predict the future. Exploring the evolution of the Ganga River, as this might have influenced the development and survival of Varanasi. A delineation on the quantity and quality of the river and groundwater and their interactions in and around the Varanasi area. This will help them understand the usable water resource and the renovation of the river Ganga. Developing an urban geological framework of the future city of Varanasi. Urban mapping is being done to assist in the determination of archaeological sites and anthropological signatures. This may provide new insight into the North Indian civilisation evolution from Post-Harappa to modern periods. The team has just completed drilling in about 100 locations up to a depth of 110 m below land surface, in and around the city of Varanasi. They will then drill several deep boreholes to explore the deep earth control on the evolution of the Gangetic plain. Detailed investigation of the river Ganga and groundwater resource and contamination studies are being carried out. Collaborating with Intel, the team is in the process of deploying several high-resolution chemical sensors to the River Ganges. This will allow for real-time water quality monitoring of the chemistry as well as the river pollution level. Putting together all their research elements will help to build a 3D conceptual model and an underpinning database of the city and its environs. These can then be used to understand the location, evolution and future effect on the development of Varanasi and Ganga. “Out of sight… out of mind, the role of the sub-surface in the urban footprint is often overlooked and rarely, if ever, makes an appearance in the long-term planning of the world’s cities,” says Dr. Martin Smith, Director-Global Science, British Geological Survey and collaborating scientist. An important thing the team emphasises is that the ground beneath our cities not only holds its history; it is a potential resource with groundwater aquifers and space for storage and transport. “However, it can also be a hazard regarding stability and dispersal of contaminants” points out Prof. Probal Sengupta of IIT Kharagpur, Joint Investigator of the project, talking about the very ground we stand on. IIT Kharagpur goes deep into the past exploring the foundations of holy Varanasi, in order to map our future. LOOKING FOR THE BEST LIFE INSURANCE POLICY? Term insurance plans are the ideal life insurance choice for people who are working, who have others depending on them, and are looking for the best level of protection available but at a reasonably low cost. So what is a term insurance plan? In a nutshell, it’s a life insurance protection policy. It means that in the event of the death of the person insured, a guaranteed amount will be paid to their specific nominee. Nothing will be given if the individual who is insured, lives beyond the length of the policy. So, looking at the advantages in a little more detail, the Aegon iTerm plan offers customers the chance to expand and increase the life cover purchased, when there are changes in life which require it, such as the birth of a new child, or a wedding. If you were to die, there is the option to either grant the payout to your loved ones as a lump sum or as a monthly income, whichever would suit them better. The policy also includes an automatically built in benefit if you are diagnosed with a terminal illness. The plan even includes discounted rates for women and for those who don’t smoke. What other similar plans are there? Metlife is offering the Mera Term Plan. 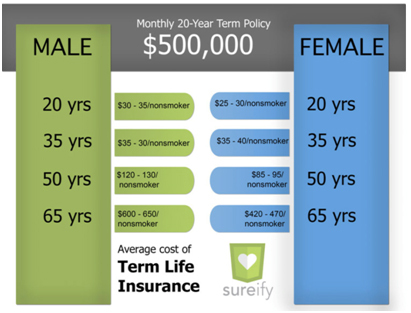 This term plan also includes a discount offer for non-smokers and allows insurance up to the age of 75. The policy term provided to me here was between 10 and 40 years. 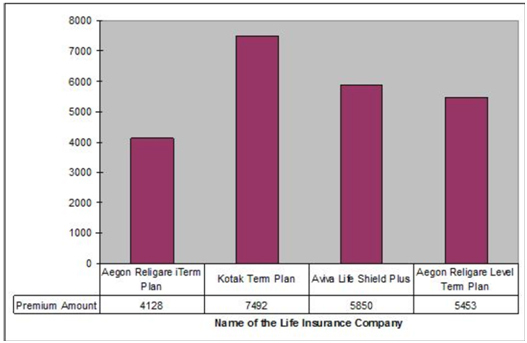 Birla Sun Life Insurance runs the BSLI Protect@Ease term plan which was similar but offered insurance up to the age of 80 this time. It also included a no-smoking discount price and the policy term this time was between five and 40 years. ICICI Prudential Insurance offers the iProtectsmart plan, which insures you up to 75 years of age. This policy term is between five and 40 years again, and also provides a non-smoker reduction in price. Author gaiaPosted on February 16, 2017 Categories Portfolio, Content Princess, SEO, Articles, InsuranceLeave a comment on LOOKING FOR THE BEST LIFE INSURANCE POLICY? 1. The Aegon Life iTerm Insurance Plan covers you up to an age of 80. 3. You have the choice to boost your life coverage as per your rising life stage necessities. 4. You enjoy an inbuilt terminal illness benefit. 5. The premium rate is lower for women and non-smokers. 6. You can enjoy tax benefits. The policy term has a minimum of 5 years and a maximum of 62-80 years. You are assured to receivea minimum sum of Rs 25,00,000. There is no limit on the maximum amount you can receive. You can choose to pay your premium in a single payment, annually, semiannually or monthly. The number of discounts and cuts which are available to you based on the category you fall in is what stands out about this plan. This plan is especially good for women as the premiums are lower for them. Also, again, you get premium benefits if you are a non-smoker. 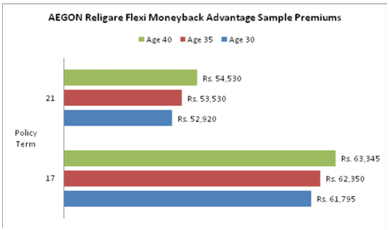 The ease of access features such as online application and the Aegon Religare term plan renewal system are excellent add-ons to a great plan. The only drawback of this plan is its definition of accident. The plan poorly defines it.